RUN! NORDSTROM celebrates National Fragrance Day 2019: Choose a Deluxe Sample with Purchase. On March 21 only, with your $25 beauty or fragrance purchase, choose from 10 deluxe samples. Bluemercury is offering 10% Off sitewide + Earn $20 Gift Card with Every $100 Purchase (La Mer, Oribe, NARS, Tom Ford and more). Plus, I’ll list hot beauty offers and Clnique Spring GWP at Macy’s + beautyhabit offers. Bluemercury (NEW) GIFT 1: 4-day only event: Spend $100 get $20! Spend and Earn, customers can earn up to $100. Up to $100 gift card. No promo code required. Valid 3/21 – 3/24. Combined with GIFT 2 and GIFT 3. GIFT 2: Use code WELCOME10 to get 10% off. GIFT 3: Choose 3 free samples at checkout with any order no minimum. (5d) See all new Bluemercry Gift with Purchase offers. Receive a FREE M-61 Vitablast C 2.0 deluxe sample with any $50 M-61 purchase. Receive a FREE Skyn Iceland Hydro Cool Firming Eye Gels deluxe sample with any $15 Skyn Iceland purchase. Use promo code HERRERA in Checkout. Use promo code CARTIER in Checkout. Use promo code DIOR in Checkout. Use promo code DOLCE in Checkout. Use promo code JOMALONE in Checkout. Use promo code VALENTINO in Checkout. Use promo code FLOWERBOMB in Checkout. Use promo code SPICEBOMB in Checkout. Use promo code MONPARIS in Checkout. Enter promo code YSL in Checkout. Online only, on March 21, 2019. One per person, while supply lasts. Enter one promo code—CARTIER, DIOR, DOLCE, FLOWERBOMB, HERRERA, JOMALONE, MONPARIS, SPICEBOMB, VALENTINO or YSL—in Checkout to qualify. See Nordstrom Beauty Sale Page here. The 3 free sample selection is so awesome! 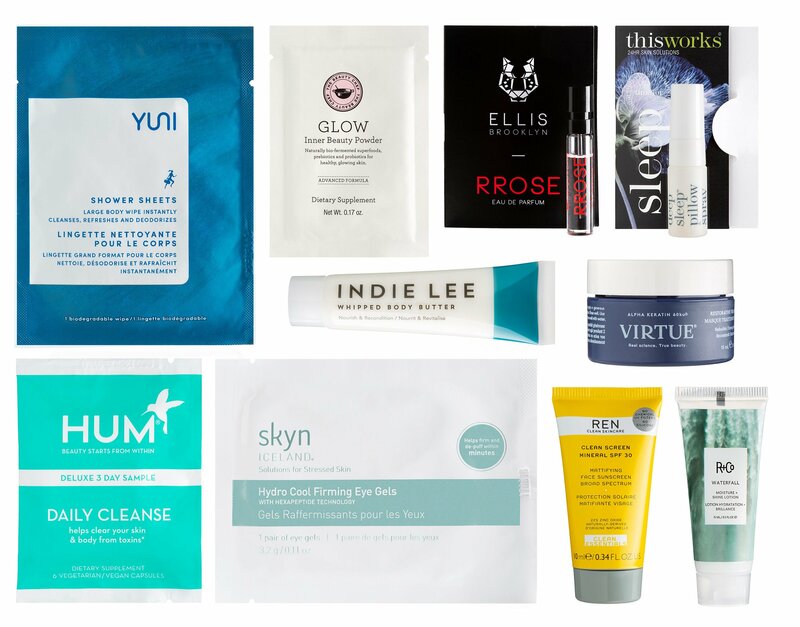 BeautyHabit (NEW) With your $125 or more SITEWIDE purchase receive the ultimate 12 pc goodie bag from our most eclectic, coveted and classic brands ($100+ value)! Apply code: CULT (3d) Spring Beauty Bag + 24 pc Gift! With your $150 or more SITEWIDE purchase receive a signature Beautyhabit Spring Tote (15” w X 16.25” h) PLUS a 24 pc gift that includes deluxe minis and treats. (Sampler substitutions may apply). A $175+ value! Apply code: BHSPRINGBAG. They have over 45 beauty gift with purchase offers. Includes extremely rare: With your $70 or more SITEWIDE purchase, receive a Vintner’s Daughter Active Botanical Serum sample. Apply Code: VINTNER! I haven’t seen any retailer offer their sample before. Free shipping any $100 order. One promo code per order. (Upcoming) APP ONLY EARLY ACCESS! Choose your FREE Limited Edition Tote Bag or Full-Size Smart Custom Repair Serum with $75 Clinique Purchase! Spend $125 and get both! (Total gift value up to $225!). Shop now at Macys.com! Valid 3/20 through 3/26 . Available online 3/27? (NEW) GIFT 5: Choose your FREE 2 pc Kit with $85 Clinique purchase! (NEW) GIFT 6: Receive a FREE Mini Almost Lipstick in Black Honey with $55 Clinique purchase! (3d) 30% off Macy’s VIP Sale + 15% off all Beauty with code VIP (includes sale), ends 3/26.